This season of Keeping Up with the Kardashians has featured one very prominent feud between family members. 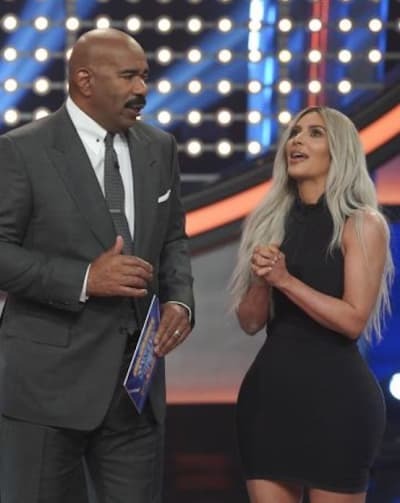 Loyal viewers have watched as Kim Kardashian and Khloe Kardashian have teamed up and tried to bring down Kourtney Kardashian due to her lack of committment to hanging with her siblings. 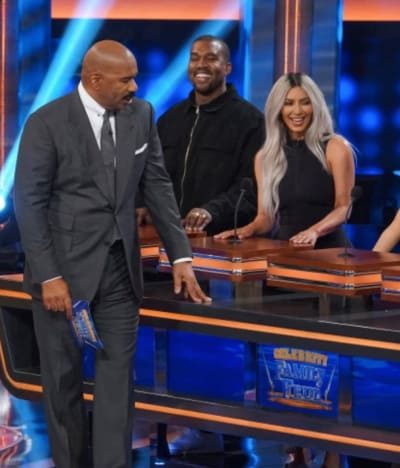 On Sunday night, however, a different kind of family feud broke out. A literal family feud broke out. Because these same siblings and their loved ones were featured on… you guessed it by now probably… FAMILY FEUD! All did not go smoothly leading up to this special appearance, however, as Kris Jenner discovered that the family’s opponent, Paris Hilton and her relatives, had dropped out just 24 hours prior to taping. Talk about a major crisis! Why not Kanye West and his family, Kim suggested quickly, almost as if this had been the scripted plan all along? 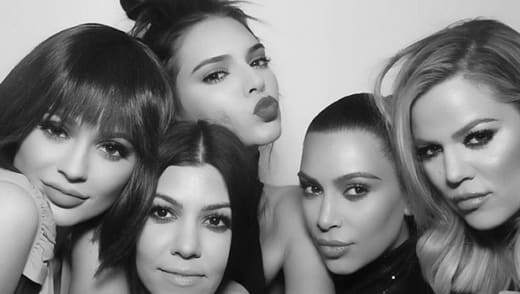 So it was then decided: Kanye, Kim and his cousins would take on Kris, Khloe Kardashian, Kendall Jenner and their cousin Cici Bussey. Due to the uneven numbers, Jonathan Cheban was asked by Kim fly out from Miami at 4 a.m. to participate on Kris and Khloe’s squad. Others agreed and, therefore, on the day of the taping, a suggestion was floating for Kris Jenner’s mom, Mary Jo, to take Jonathan’s spot on the show. Could Cheban just go on Kim and Kanye’s team? To conclude this enthralling debate, host Steve Harvey stepped in said producers could put Kris and MJ on the same mic and have an uneven number of teammates. Elsewhere, Kourtney and Scott Disick went at it. The former was angry about the latter introducing his young girlfriend, Sofia Richie, to the ex-couple’s three children. “So last night we got home, the kids were there. So, of course, they met my girlfriend,” Scott told her simply. Kris then appeared to take Scott’s side. “I don’t understand why she can introduce her boyfriend to the kids but you can’t introduce your girlfriend,” she told him. 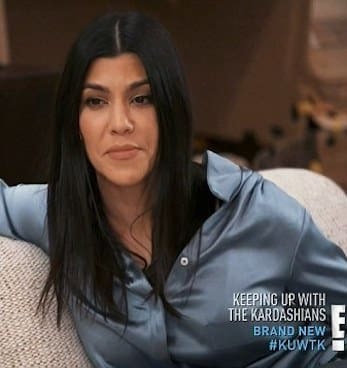 In a confessional, Kourtney added that being controlling or not has nothing to do with the situation. “He gets everyone on his side and tries to play the victim,” she explained. 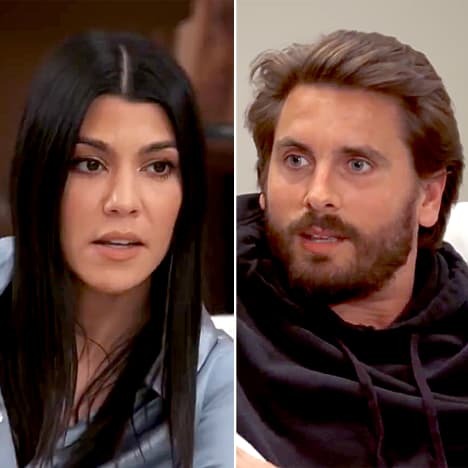 In the end, Scott did apologize for not giving Kourtney a heads up about the meeting between Mason, Reign, Penelope and Sofia. As a result, the episode’s second feud came to a rather quiet conclusion. Next story Big Brother Recap: Who Got Engaged?! Previous story Miss America 2019: Who Took Home the Crown?